We have a high quality range of block paving sealers for most block paved surfaces. For domestic block paved driveways and patios around homes our solvent based acrylic block paving sealers are usually the preferred choice. Block paving sealers will act as weed inhibitors by hardening the sand in the joints of the pavers. Stopping weeds growing in the joints of block paved drives and patios is the biggest issue for most homeowners. Applying a highly protective block paving sealer will prolong the lifespan of your driveway or patio by slowing down deterioration of the surface. The block paving sealer also acts as a filter to harmful UV rays and prevents color loss from the surface. We can add the colour to block paving sealer to make it look like new! ‘Block Magic’ is a blend of liquid pigments and acrylic resins that soak deeply into the paving totally transforming and protecting block paving driveways and patios. ‘Block Magic’ replaces colour that sun, rain ,vehicles and pressure washing has taken away. CleanCore can supply and apply sealers for precast concrete patio slabs also known as flagstones. The sealer for flagstones is a solvent based acrylic product that will protect the patio and pointing. Application of the sealer will also enhance the natural colours in the stone. The sealer for patios and flagstones has a lifespan of approximately 5 years and can be re-applied at anytime. By applying a natural stone sealer as soon as possible after installation, the sandstone and pointing will be protected from the harmful effects of moisture. Natural stone patio’s are notoriously difficult to keep clean because of how porous they are. The retention of moisture quickly leads to the formation of algae and lichen which make the often expensive patio appear dirty and un-attractive. The sealers penetrate deep into the porous parts of the sandstone or natural stone. Once effectively sealed the natural stone will not retain moisture to any degree, which in turn will slow down the re-growth of algae, moss and lichens, enabling them to be easily washed away. We can apply high quality sealers for imprinted concrete driveways and patios. Sealers come in a Matt, Silk or Gloss finish. If you need a stamped concrete driveway or patio sealed we have all the cleaning, repair and sealing knowledge to guide you. Colour Tints to restore original colour to Imprinted Concrete surfaces. We have a full range of colour tints for pattern imprinted concrete, to bring back the bright colours that you paid so much for! A tarmac restorer will provide long lasting protection to all types of tarmac surfaces. The range of restoration products for tarmac and asphalt are designed to restore and protect tarmac driveways, sports surfaces and car parks. They are suitable for all domestic and commercial tarmac surfaces. All forms of tarmac and asphalt are likely to lose resin and colour due to the effects of the weather and vehicular traffic. Tarmac driveway restorer will soak into the surface, replace lost acrylic resins and totally restore lost colour. 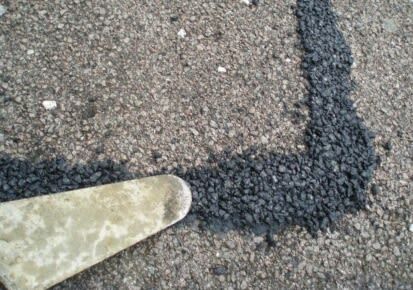 We can repair cracks in your Tarmac and apply a sealer to seal the crack over the top. Tarmac crack repair comes in RED or BLACK. We can also supply in different colours upon request. 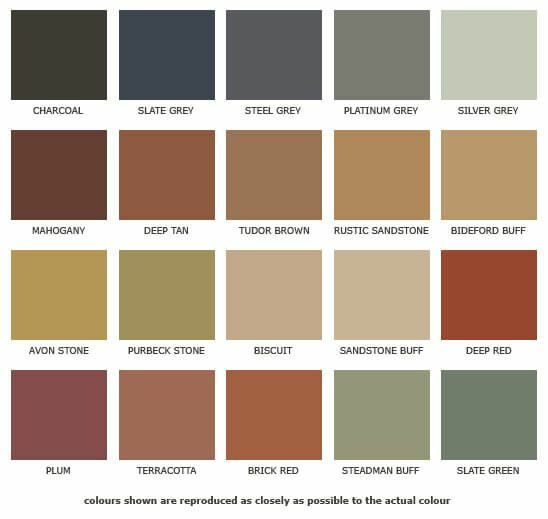 Please see our Sealer Colour Chart for all colours. Cold Lay Repair gives great results for small repairs to holes or cracks. It is very easy to use directly from the container. Tarmac Repair can be applied in BLACK OR RED. 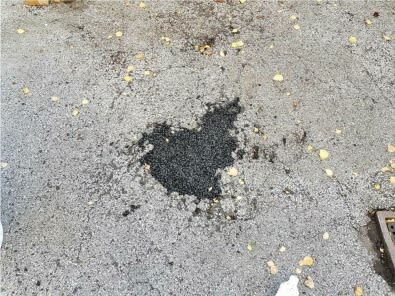 Once the tarmac repair is complete, A sealer repair coating can be applied to the area straight away. We are open Mondays to Saturday and can work around your needs and schedules. If you require a service outside of our normal working hours then please do not hesitate to contact us to discuss further. If you have any queries or would like a quote outside of our normal hours please email us at info@cleancore.co.uk and we'll be happy to help.